Based on their shopping history and patterns on the related platform, the credit amount will be approved for the customers. 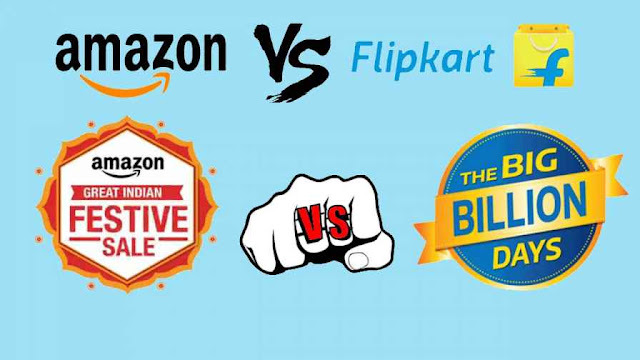 Both Amazon and Flipkart are doing ongoing gearing for sales of their respective Great Indian Festive Sales and Big Billion Days. During the sales days, two ecommerce giants are expected to offer many exciting deals in product categories. However, to encourage customers to buy products, companies are paying a lot of attention to starting interesting payment options. Recently, one is giving instant credit to customers upto Rs. 60,000. According to a Times of India report, customers can easily check the credit amount they can get through their respective mobile applications. In order to obtain credit details, users will have to punch their PAN Card details with Aadhaar number. The amount assigned to a customer depends on its shopping history, patterns and bill amount of products purchased in the past. Two Ecommerce giants have recently announced the option to get instant credit on their respective platforms. Amazon began to serve as part of Amazon Pay, while Flipkart's service appears to be the continuation of its follow-up initiative launched in January. As the Economic Times has said, when selecting an immediate credit option on Flipkart, users will get an option to pay later in the month or receive an EMI of 3 to 12 months. Interest on EMI is not mentioned, but it is expected to be high. Most likely compared to banks. The sale of Amazon Great India Festival will be from October 10 to October 15, while Flipkart Big Billions Day will be held from October 10 to October 14. In addition to the huge discounts and instant credit option, you can expect e-retailers to provide EMI at no cost to both credit and debit cards in banks. What's is this website's template bro!